The Prince Charles, Prince of Wales (Charles Philip Arthur George Mountbatten-Windsor) (born 14 November 1948), is the eldest son of Queen Elizabeth II and Prince Philip, Duke of Edinburgh. He is heir apparent to the thrones of the United Kingdom and 15 other Commonwealth Realms. He has held the title of Prince of Wales since 1958 and is styled HRH The Prince of Wales, and in Scotland, HRH The Prince Charles, Duke of Rothesay. Constitutionally he is the first in line to the throne, but third in order of precedence, following both The Queen and The Duke of Edinburgh. 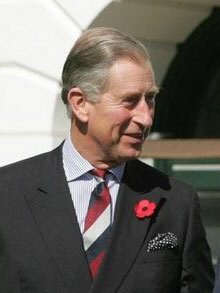 The Prince of Wales is well known for his extensive charity work, particularly for the Prince's Trust. He also carries out a full schedule of royal duties, and increasingly is taking on more royal roles from his aging parents. The Prince is also well known for his high profile marriages to the late Diana, Princess of Wales and subsequently to Camilla, The Duchess of Cornwall. In 1952, his mother assumed the throne, becoming Queen Elizabeth II. Prince Charles immediately became Duke of Cornwall under a charter of King Edward III, which gave that title to the Sovereign's eldest son, and was then referred to as HRH The Duke of Cornwall. He also became, in the Scottish Peerage, Duke of Rothesay, Earl of Carrick and Baron of Renfrew, Lord of the Isles, and Prince and Great Steward of Scotland. The Duke of Cornwall was now the heir apparent to the throne. 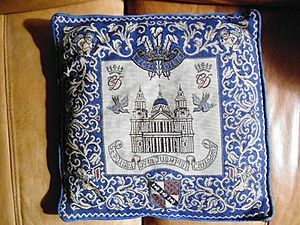 He attended his mother’s coronation at Westminster Abbey, sitting with his grandmother, Queen Elizabeth, the Queen Mother and his aunt, The Princess Margaret. Like royal children before him, a governess, Catherine Peebles, was appointed to look after the Prince. The governess was responsible for educating the Prince between the ages of 5 and 8. In a break with tradition, Buckingham Palace announced in 1955, that the Prince would attend school, rather than have a private tutor, the first heir apparent to do so. He first attended Hill House School in West London, and later the Cheam preparatory school in Berkshire which the Duke of Edinburgh also attended. The Prince finished his education at Gordonstoun, a private boarding school in the north east of Scotland. His father, the Duke of Edinburgh, had previously attended Gordonstoun, becoming head boy. It is often reported that the Prince despised his time at the school, where he was a frequent target for bullies. The Prince would later send his own children to Eton College rather than Gordonstoun. In 1966 Charles spent two terms at Geelong Grammar School in Victoria, Australia during which time he visited Papua New Guinea on a history trip with his tutor Michael Collins Persse. On his return to Gordonstoun he followed in his father's footsteps by becoming head boy. In 1967 he left Gordonstoun with 2 A levels in History and French. Traditionally, the heir to the throne would go straight into the military after finishing school. However, in a break with tradition, Charles attended university at Trinity College, Cambridge where he studied Anthropology and Archaeology, and later History, earning a 2:2 (lower second class degree). Charles was the first member of the British Royal Family to be awarded a degree. He also attended the University College of Wales, Aberystwyth, where he went specifically in order to learn the Welsh language—the first English-born Prince (of Wales) ever to make a serious attempt to do so. He was created The Prince of Wales and Earl of Chester in 1958, though his actual investiture did not take place until 1 July 1969. This was a major ceremony, held at Caernarfon Castle in north Wales, a place traditionally associated with the creation of the title in the 13th century. Previous investitures had taken place at various locations, including the Palace of Westminster, the seat of Parliament. The Welsh borough of Swansea was granted city status to mark the occasion. The investiture also aroused considerable hostility among some Welsh nationalists, and there were threats of violence. 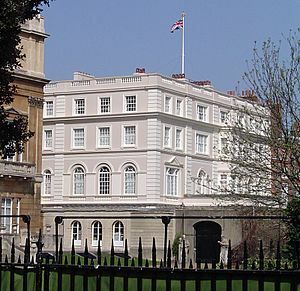 In the late 1970s, The Prince of Wales established another first when he became the first member of the Royal Family since King George I to attend a British cabinet meeting, being invited to attend by Labour Prime Minister James Callaghan so as to see the workings of cabinet government at first hand. On 29 July 1981, The Prince of Wales and the Lady Diana were married at St Paul's Cathedral before 3,500 invited guests and an estimated 750 million people around the world. All of Europe's crowned heads attended. By marriage to the heir-apparent, the Lady Diana received both a title (Princess of Wales) and the style of "Her Royal Highness". She was popularly known as Princess Diana, although this form of address is technically incorrect. The couple made their home at Highgrove in Gloucestershire and at Kensington Palace. Almost immediately, the Princess of Wales became a star attraction, chased by the paparazzi, her every move (including every change in hairstyle) closely followed by millions. The marriage of The Prince and The Princess of Wales formally ended in divorce on 28 August 1996. It had produced two sons, Prince William of Wales, and Prince Henry of Wales who is known by the name "Harry." On 10 February 2005, it was announced by Clarence House that The Prince of Wales and Camilla Parker Bowles would marry on 8 April of that year. On Monday 4 April, it was announced that the wedding would be delayed for one day to 9 April to allow The Prince of Wales and some of the invited dignitaries to attend the funeral of Pope John Paul II. 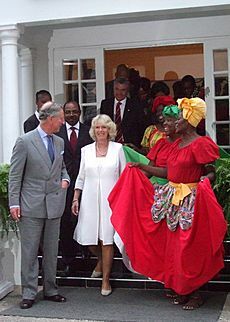 It was announced that, after the marriage, as the wife of The Prince of Wales, Mrs Parker Bowles would be styled Her Royal Highness The Duchess of Cornwall and that upon The Prince's accension to the throne, she would not be known as Queen Camilla but as Her Royal Highness The Princess Consort. This form of address is believed to be based on that used by Queen Victoria's husband Prince Albert, who was styled as Prince Consort. The Prince of Wales is a horseman and huntsman. He served in the Royal Navy, commanding HMS Bronington, a minehunter, from February 1976 until December 1976. He is also a watercolour artist and a published writer. He has exhibited and sold a number of paintings. The Prince's Trust, which he founded, is a charity that works mainly with young people, offering loans to groups, businesses and people (often in deprived areas) who had difficulty receiving outside support. Fundraising concerts are regularly held for the Prince's Trust, with leading pop, rock and classical musicians taking part. He claims to "care deeply about issues such as the environment, architecture, inner-city renewal and the quality of life." He was shot at by gunman David Kang at Tumbalong Park, Darling Harbour, Sydney, Australia in 1994. To put his ideas on architecture and town planning into practice, the Prince of Wales is developing the village of Poundbury in Dorset. Prior to commencing work on Poundbury he had published a book and produced a documentary entitled A Vision for Britain, both being a critique of modern architecture. In 1992 he also established The Prince of Wales Institute of Architecture and began the publication of a magazine deal with architecture, but the latter has since ceased independent operation after being merged with another charity to create The Prince's Foundation for the Built Environment in 2001. The Prince is also keen on growing and promoting organic food, although he drew some ridicule when he joked about sometimes talking to his houseplants. The Prince of Wales is President of 16 charities, and raised over £100 million for charity in 2004. The Prince of Wales is also highly regarded by some on the international stage as an effective advocate for the United Kingdom. 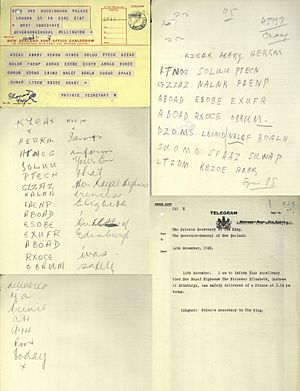 On a visit to the Republic of Ireland, for example, instead of simply using a standard foreign office speech, he delivered a personally researched and written speech on Anglo-Irish affairs which was warmly received by Irish politicians and the media. Charles is the Patron of the Manchester Grammar School's bursary appeal, a scheme set up to offer an education at one of the best schools in Britain to bright boys whose parents may not be able to afford the school's fees. The appeal has now raised over £10m. One of The Prince's greatest areas of interest continues to be philosophy, especially the philosophy of Asian and Middle Eastern nations, as well as so-called New Age theology. He had a friendship with author Sir Laurens van der Post, whom outsiders called the 'guru to Prince Charles', starting in 1977 until van der Post's death in 1996. Laurens van der Post was one of Prince William's godparents. While his popularity has fluctuated, he remains the most active Prince of Wales in centuries, and has devoted his time and effort to charity work and working with local communities. The Prince, who turned 57 in November 2005, is poised to become one of the oldest men to ascend to the British throne. Only George IV, William IV and Edward VII were older than Charles when they became the monarch of the United Kingdom. Charles, Prince of Wales Facts for Kids. Kiddle Encyclopedia.